This very simple recipe for Pressure Cooker Brown Rice in your Instant Pot may well make you finally put away your rice cooker, and start using your Instant Pot or Pressure Cooker to make perfect rice each time. 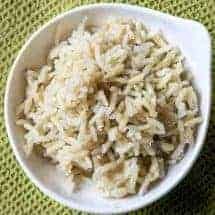 This very simple recipe for perfect brown rice in your pressure cooker may well make you finally put away your rice cooker, and start using your Instant Pot or Pressure Cooker to make perfect rice each time. This recipe for Perfect Pressure Cooker Brown Rice will surprise you with the proportions of rice and water that I’m recommending. Rest assured, I’ve tested this several times, and it quite reliably works. 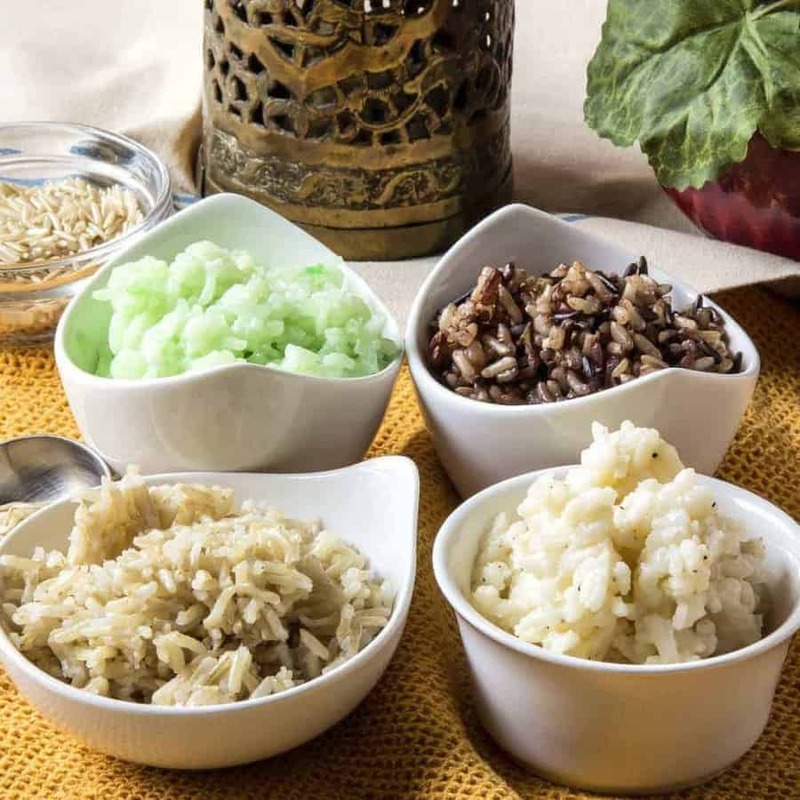 If you’d like to better understand how this all works, check out the video below, that walks you through different types of rice, what makes them different, and how best to cook each one in the pressure cooker. Brown rice is whole grain rice, with the inedible outer hull removed; white rice has the hull, bran layer and cereal germ removed. One thing to be aware of is that rice plants accumulate arsenic, and there have been concerns over arsenic levels in rice. There is more arsenic in the bran, so brown rice could contain more arsenic. Choosing a good quality brown rice is critical. For these experiments, I used a long-grain brown basmati and I found it to work really well. Feel free to add 1 tablespoon ghee or coconut oil to ensure each grain is separate. WHY PRESSURE COOK BROWN RICE? 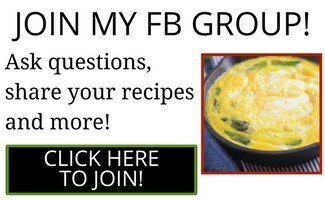 I have way too many rice recipes for someone trying to eat low carb. I typically do eat 1/4 cup of rice at some meals, as I’m now in maintenance mode. As this list will get updated each time, I’m providing a dynamic link below so that each time I add rice recipes, clicking on this link will still take you to all of them in one fell swoop. 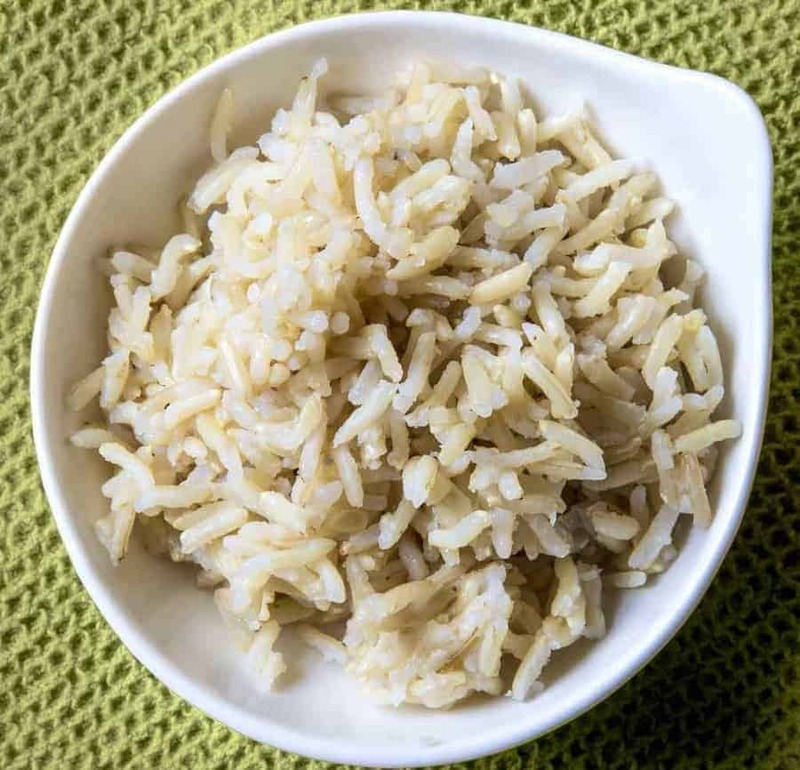 This very simple recipe for perfect brown rice in your pressure cooker may well make you finally put away your rice cooker, and start using your Instant Pot or Pressure Cooker to make perfect brown rice each time. Rinse and drain the rice using either your hands to cup and drain, or a rinser made for this purpose. Put rice, water, ghee (or oil), and salt into your electric pressure cooker or Instant Pot. Cook at high pressure for 22 minutes, and allow it to release pressure naturally for 10 minutes. Do not skip the natural release time, as this time is essential for the rice to "steam" and cook further. Love your site, Urvashi! I’ve noticed that at the recipe section at the very end of the post, the title is “Pressure Cooker Perfect Black Rice Pudding.” The recipe seems right for brown rice – it’s just the title that’s not right. Hello Urvashi, and thank you so much for sharing your wonderful recipes. I have had a lot of fun trying them out & definitely appreciate the shortcuts without sacrificing authenticity or flavor! My question to you is how do I modify the correct IP cooking time for doubling the Royal brown basmati rice, and do I keep the ratios the same or increase water as well? I tried doubling up the ingredients using 22 minutes & ended up with more chewy, almost crunchy rice. I did also watch your YouTube video on rice hoping you would mention adjustments for doubling, but didn’t hear it addressed or missed it if you did. Hi there! Doubling should have worked. Did you let it NPR for 10 minutes? I’m wondering if maybe the rice was old. In that case, soaking for 15-30 minutes and then draining before cooking would Help. If I want to substitute regular basmati rice with brown basmati rice in your Instant Pot recipes (for example, Chicken Biryani) what kind kind of adjustments in time/amount of water, etc. do I need to make? Thank you, Urvashi! What about basmati pilau, Masale Bhat or Khichadi? Can these recipes be modified? Yes all of those can be modified. Brown rice takes 22 minutes. The title is correct- this IS perfect brown rice. I used long grain brown basmati and coconut oil. It turned out perfectly soft yet chewy, and with a lot of the nutty flavor I love. I will definitely be making a larger amount next time. If I freeze this rice by itself, will it maintain its texture and flavor when reheated? 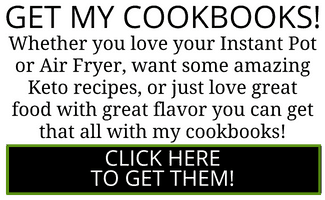 Yes as long as you cover when reheating. Sometimes I put in one tablespoon of water to create a little steam to help reheat. I’ve made brown rice many times, and several times in the pressure cooker, and it has never come out this good! My IP was being used for something else, so I made it in my regular stove top pressure cooker, cooked at high pressure for 20 minutes to compensate for the higher pressure, and full natural release. I used the seasoned buffalo ghee from Trader Joe’s. It came out buttery and shiny and perfectly chewy/nutty; just delicious.This is a keeper! Yesss!! This makes me so happy to hear. I have a digestive problem with gelatin (can’t eat bone broth for this reason). Does brown rice contain a large amount of gelatin? Oh sorry no gelatin created. It’s just a little softer and mushier in texture. But no gelatin creates. Hi, I think something’s gone wrong here. 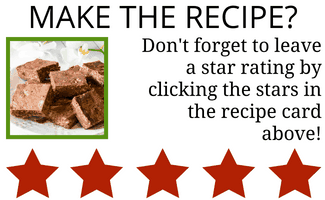 The recipe title and introduction is for brown rice, but the recipe is for black sticky rice. Okay!I fixed the recipe. Thanks so much for letting me know. I put all your downloads into my cart, but now I can’t find your “cart” to check out? Am I missing something? Ugh. That is terrible! Lemme fix it tomorrow. Thanks so much for letting me know. Okay Tess, it should be fixed now. So sorry for the inconvenience, but really appreciate your letting me know. I don’t see the recipe for cooking brown rice.